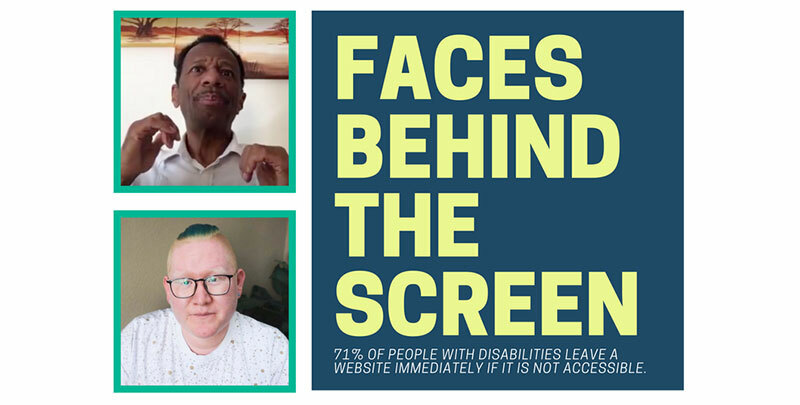 Website Accessibility: What About the Faces Behind the Screen? DDid you know that 71% of people with disabilities leave a website immediately if it is not accessible? 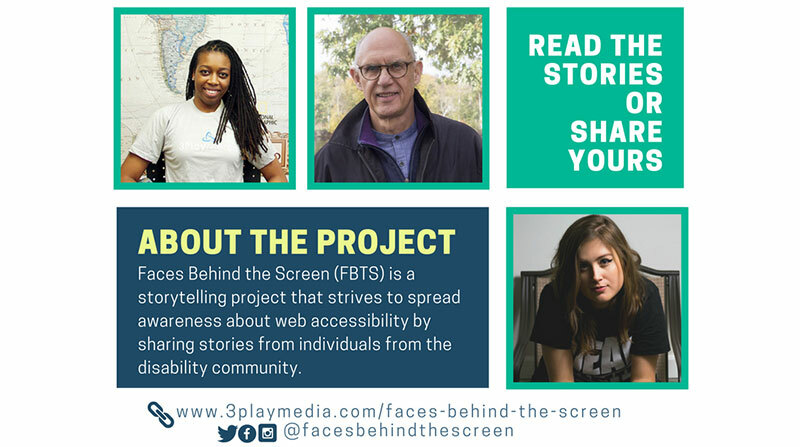 Faces Behind the Screen (FBTS) is a storytelling project that strives to spread awareness about web accessibility by sharing stories from individuals from the disability community. Launched in early 2017, FBTS has allowed us to give everyday people a face, a voice and an opportunity to share their story and perspective. We do this by conducting interviews with people who have sensory disabilities that affect computer use such as those who are d/Deaf, hard of hearing, blind, low vision, as well as those who are closely connected to them, such as parents and interpreters. The aim of this project is to simply connect the world with these stories in order to remind everyone that the world wide web, including websites, apps and other digital interfaces, needs to be accessible for ALL people—including those with disabilities. We hope that through this project, we can offer a new perspective and shatter some of the common stigmas and preconceived notions around individuals with sensory impairments. We are always looking for new interview opportunities with individuals who want to share their story in order to spread awareness about web accessibility. If you or someone you know has a sensory disability that affects computer use let us know by simply filling out this brief form. 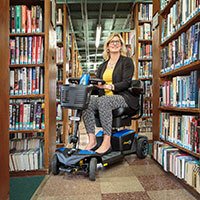 Follow this project to discover stories from the disability community and gain a deeper understanding of web accessibility. Connect with us on Twitter, Facebook, and Instagram @facesbehindthescreen, or visit our website www.3playmedia.com/faces-behind-the-screen.